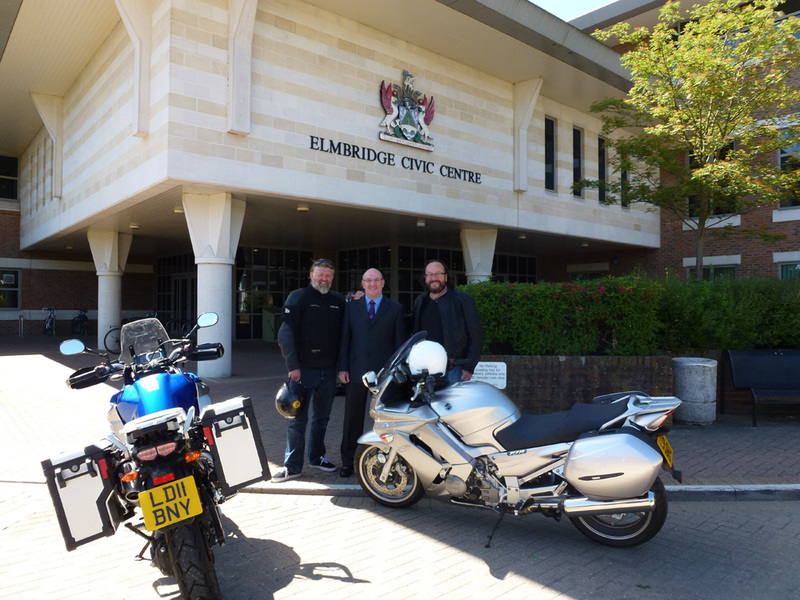 REQUESTS for Elmbridge Council’s Meals on Wheels are up 83% after the service was highlighted on the BBC’s Hairy Bikers programme. The bikers, real names David Myers and Simon King (pictured above with Elmbridge chief executive Rob Moran), visited the Molesey Centre in School Road, East Molesey, where up-to 100 fresh meals are prepared every day and delivered to elderly and infirm residents. They helped to modernise the menu and raise awareness of the service and its constant need for volunteers to deliver meals. As a result of the series being broadcast in September and October, Elmbridge received enquiries from 40 new potential volunteers and a huge uptake in the service. Other councils are seeking to copy the borough’s model and it has even had emails from the Meals on Wheels Association of America. Conservative councillor Christine Elmer, the Elmbridge cabinet member for Social Affairs, paid tribute to the staff and volunteers who took part in the programmes. She said: “At Molesey as well as filming which took place over an extended period, they also maintained the day to day service. For the future, the aim is to roll out ‘fresh’ menus across all centres once there are volunteers in place with the preparation. Users of the service pay £3.25 for a meal and can request a supper too. Last year Elmbridge delivered nearly 60,000 meals. If you would like to find out more or can spare a bit of time to help deliver Meals on Wheels please call the volunteer coordinator on 01372 474552.